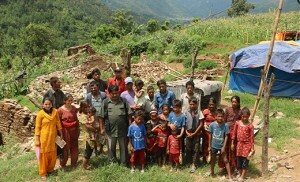 Catholic families stand in front of their home on Kyaltung Mountain in Sindhupalchowk, Nepal, July 12. 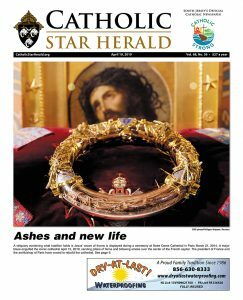 Bishop Dennis Sullivan authorized a special collection in May after the country suffered a magnitude-7.8 earthquake. The collection raised $145,597.90 for victims. The magnitude-7.8 earthquake that rocked Nepal April 25 claimed more than 8,800 lives, destroyed more than 600,000 houses and damaged an additional 300,000 — and now the country is dealing with monsoon rains. 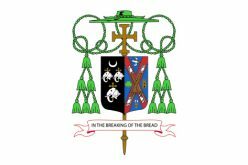 After the earthquake, Bishop Dennis Sullivan authorized a collection in the Camden Diocese, which raised $145,597.90 that was sent to Catholic Relief Services (CRS) to aid the victims. 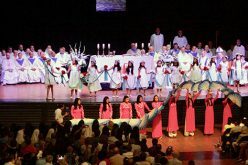 In an email, Nikki Gamer, CRS communications officer for Europe, the Middle East, and Central Asia, expressed gratitude to the Catholics of South Jersey, and emphasized how the money will help workers with the challenges still ahead. 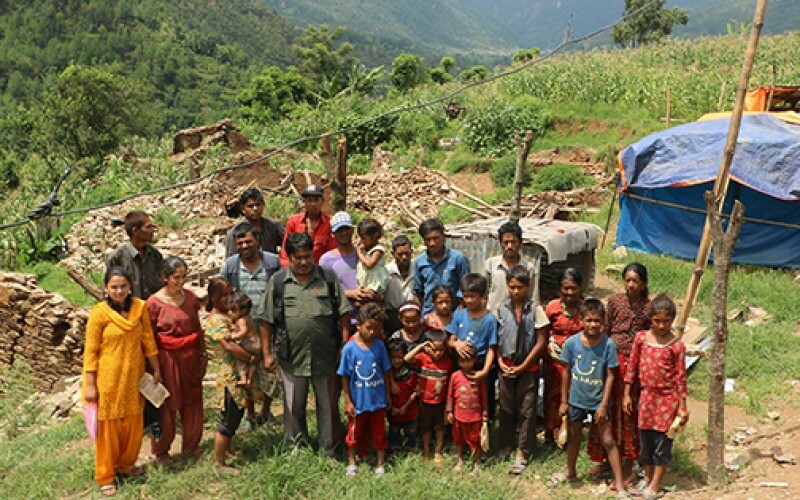 “With Nepal’s monsoon season about to intensify, hundreds of thousands of people continue to live without adequate shelter, and are ill-prepared for the coming rains. The money we raise will go toward building temporary shelters and to providing emergency relief for those in some of the hardest-hit and isolated parts of the country,” she said. Gamer said CRS is “overwhelmed” by the generosity of the U.S. Catholic community, and Bishop Sullivan also expressed his thanks. “The generosity of our parishioners is truly an expression of the faith. God bless them,” he said. In early June the bishop urged pastors to take up a special collection, if possible, and a large majority, 61 parishes, responded, resulting in donations ranging from several hundred to several thousand dollars. 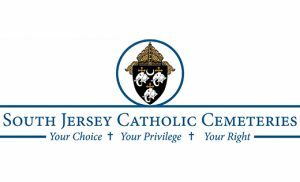 St. Damien Parish in Ocean City alone brought in $8,364, and two parishes each raised close to $6,000. Christ Our Light, Cherry Hill, collected $5,989.61, and Incarnation, Mantua, $5,848. The donations are being put to good use as the relief effort continues. “The terrain is arduous for providing critical relief given the extreme isolation and elevation of these villages. Many are accessible only on foot or by helicopter, or else require travel on steep, dirt roads which quickly turn to mud or become impassable with rains,” said Brennan, who recently returned to the U.S. from Nepal.